My heart was beating fast, the way it always did when I was creeping. Creeping and peeping, the kind of thing that could get me killed any day of the week. I was four months out of juvie and a lot deeper into the game than before I went in. But I had to work for Diamond Tony if I was going to bring him down. I had a mission—and nothing was going to get in my way. Darren took the fall for Diamond Tony, the notorious head of the city's drug cartel. Now, two years later, Darren's finally out of juvie and determined to get even. Working as an informant for the police, Darren infiltrates Diamond Tony's operation. 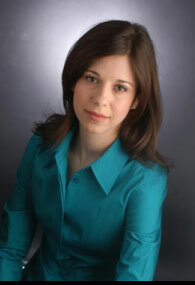 But falling for sweet, innocent Jessica was not part of that plan. She's a distraction—and a liability. She's also everything Darren dreamed about while he was locked up, and with her he has the promise of a fresh start. When a deadly turf war breaks out between Diamond Tony and the Bloods, Darren gets caught in the crossfire. And the cops think he's playing both sides. Any mistake could be his last. Darren has to stay on his game if he's going to protect Jessica—and if he's going to stay alive. "Y.A. version of The Wire!" "This will win van Diepen new and dedicated fans." 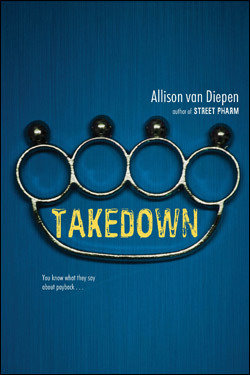 "A gritty, suspenseful, character-driven story…"
"Takedown is one hell of a page-turner." "A smart and believably gritty tale of the streets with genuine heart." Seconds ticked by. I watched Pup slide into his shiny black Mazda. Bass thumped inside. If the cops didn’t pounce soon, they’d lose him. That better not happen. I’d spent weeks tracking his movements in preparation for this. His car was definitely full of Diamond Dust, and who knows what else. Sirens wailed, and three cop cars streaked in from all sides. Pup slammed on the gas, ramming one of them. He flung open his door and started to run, but they were on him in seconds. Pup put up an impressive fight, but it only got him zapped by a taser. Finally they cuffed him and shoved him into the back of a cruiser. Off he went. I smiled. Seeing Pup get arrested was a pleasure. He was a key player in Diamond Tony Walker’s operation. Cruel and unusual was his thing—that’s how he got his name, short for Sick Puppy. Pulling my hood forward, I walked out of the alley and crossed the street, avoiding the security cameras around the all-night deli. Everybody knew those cameras didn’t miss a thing. If Diamond Tony suspected a snitch, he’d get the tapes. He could have anything he wanted in this neighborhood. I wasn’t going to get sloppy. A sloppy informant is a dead informant. Home was four blocks away. It was late and freezing cold, so everybody was staying inside. Even the drug fiends had found warm places to huddle. When I got to my building, I saw two homeless guys slumped in between the front doors. They were probably too high to notice me, but I couldn’t risk it. I circled around back and scaled the fire escape. It was loose in several places, and clanked against the building as I went up three floors. Climbing inside my bedroom, I kicked off my shoes, threw my jacket over a chair and stretched out on the bed. I rubbed my hands together to warm them up. My heart was beating fast, the way it always did when I was creeping. Creeping and peeping, the kind of thing that could get me killed any day of the week. I was four months out of juvie and a lot deeper into the game than before I went in. But I had to work for Diamond Tony if I was going to find a way to bring him down. I had a mission—and nothing was going to get in my way. Pup’s arrest tonight was just the beginning.